Both the northeast and the northwest Passages were discovered. The next challenge now was the North Pole. 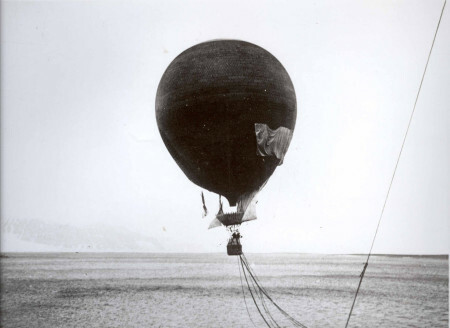 Together with Nils Strindberg and Knut Frænkel, the Swedish engineer S.A. Andrée attempted in 1897 to fly a hydrogen balloon from Virgohamna on Danskøya, to the North Pole. The journey started the 11th. of July, and lasted for only 65 hours. Because of bad weather conditions the balloon was forced to land at 82° 56’ and the three had to walk over the ice for nearly 3 months before they made landfall on Kvitøya. Their attempt at make it through the winter there failed. Norwegians discovered their remains and those of the expedition in 1930.